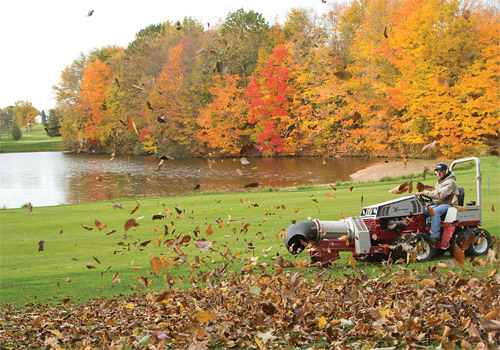 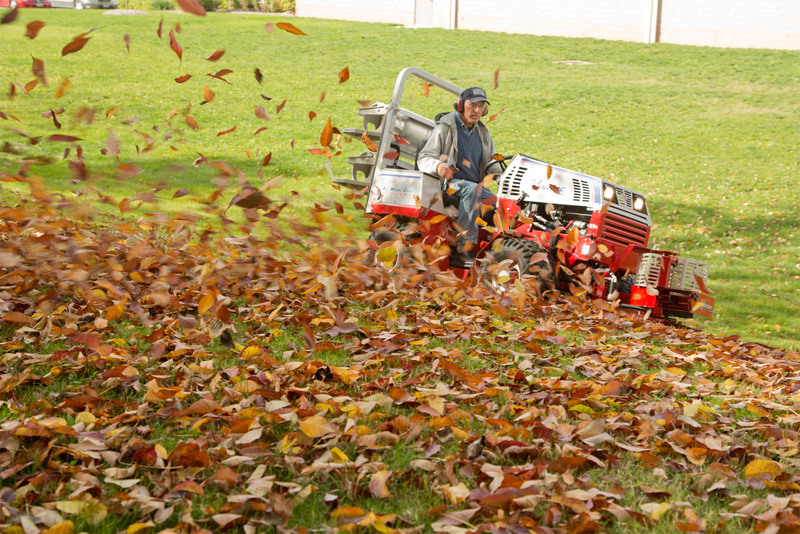 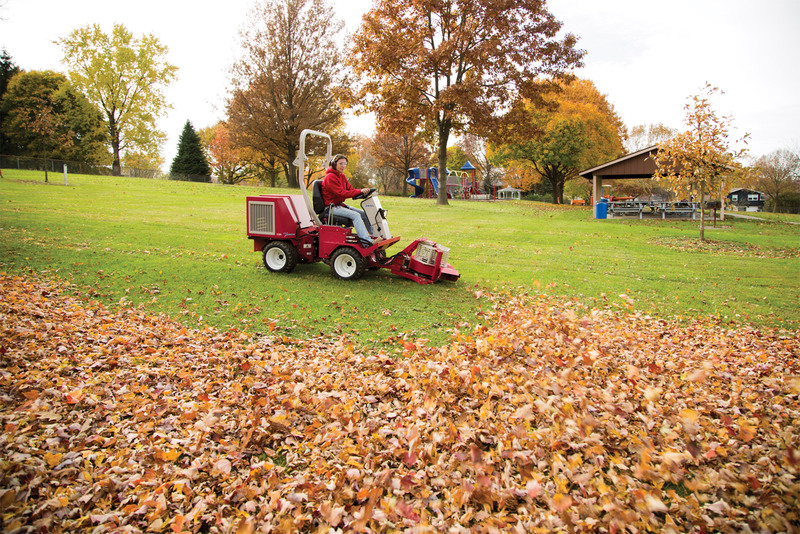 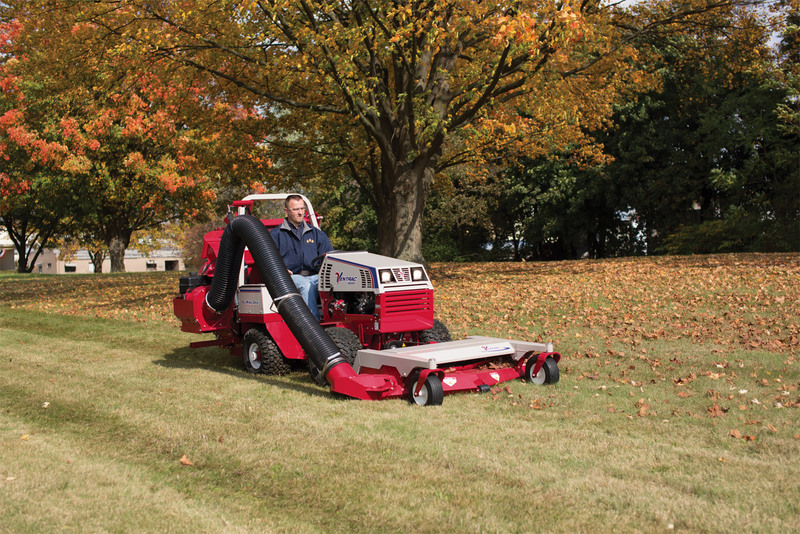 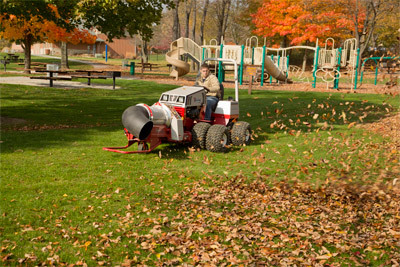 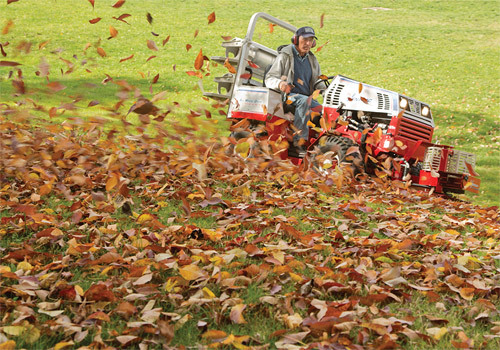 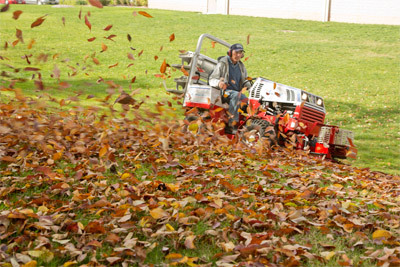 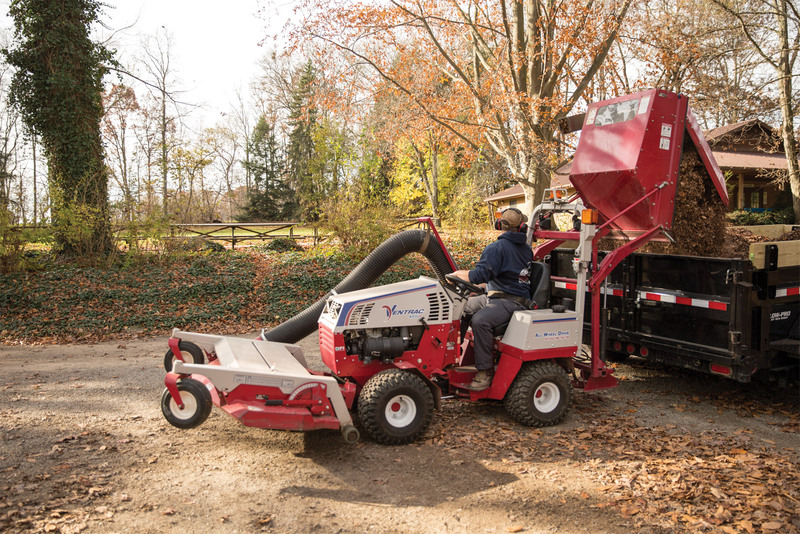 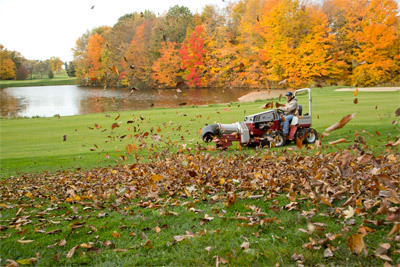 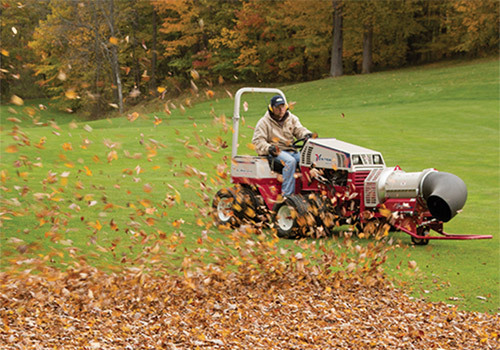 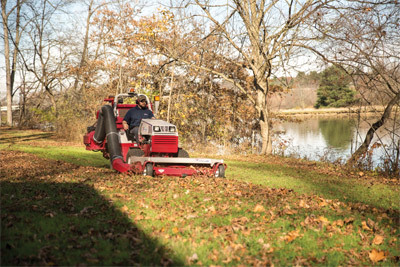 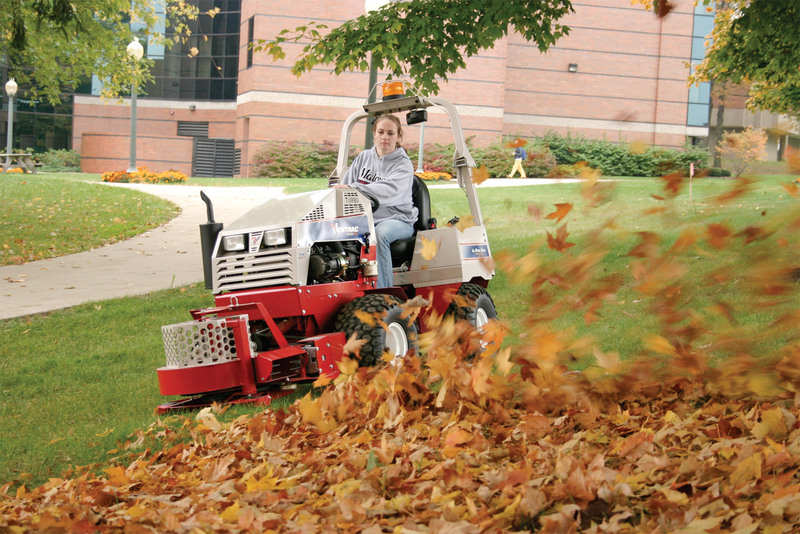 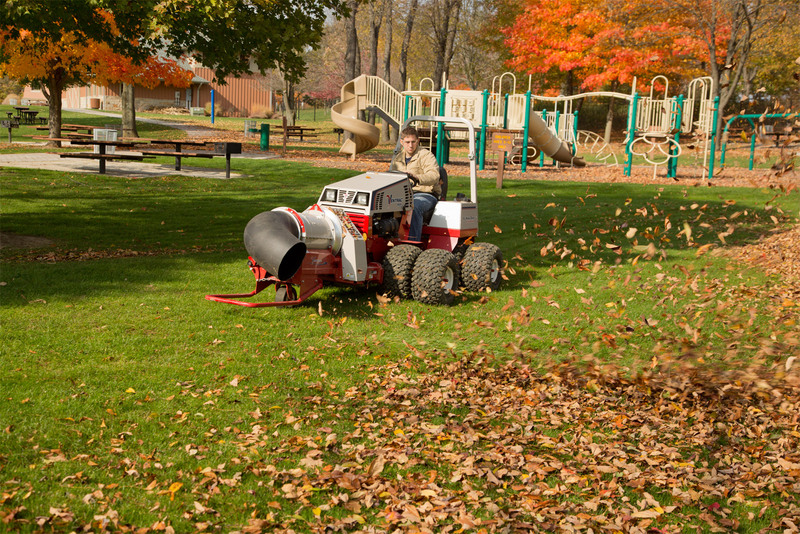 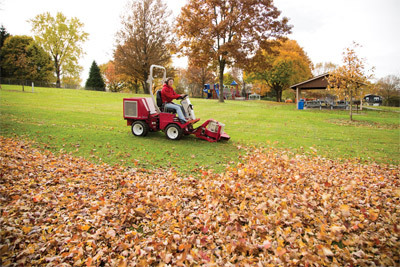 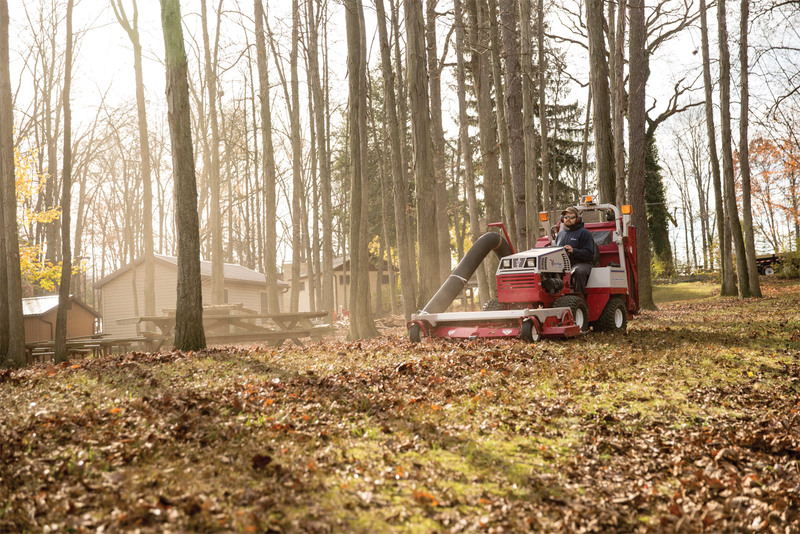 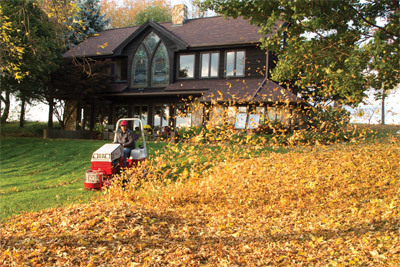 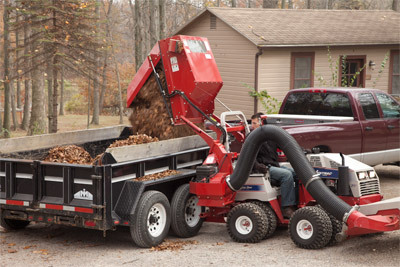 Ventrac has the right solutions for managing fall leaves on your property. 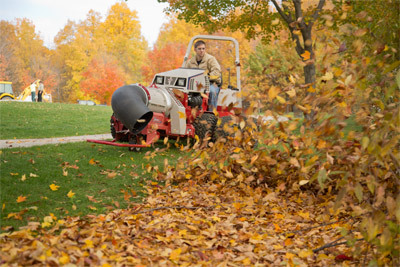 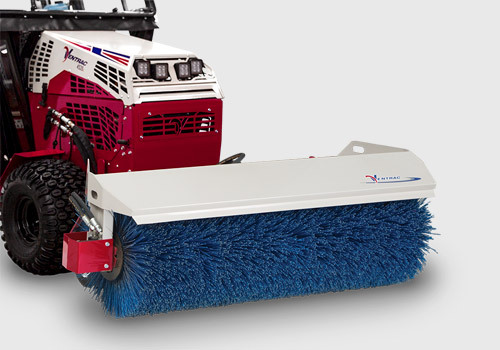 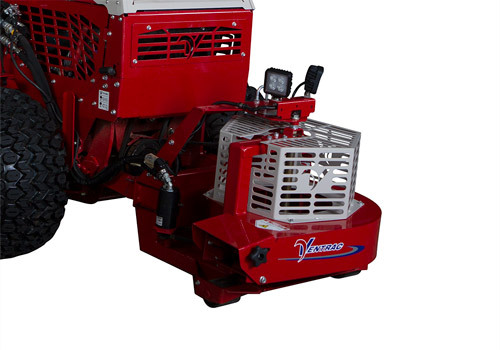 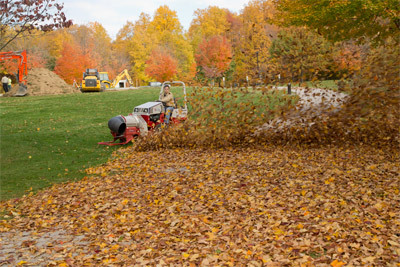 From our industry leading Vacuum, to our powerful leaf blower options, you will enjoy maintaining your property with Ventracs fall leaf management solutions. 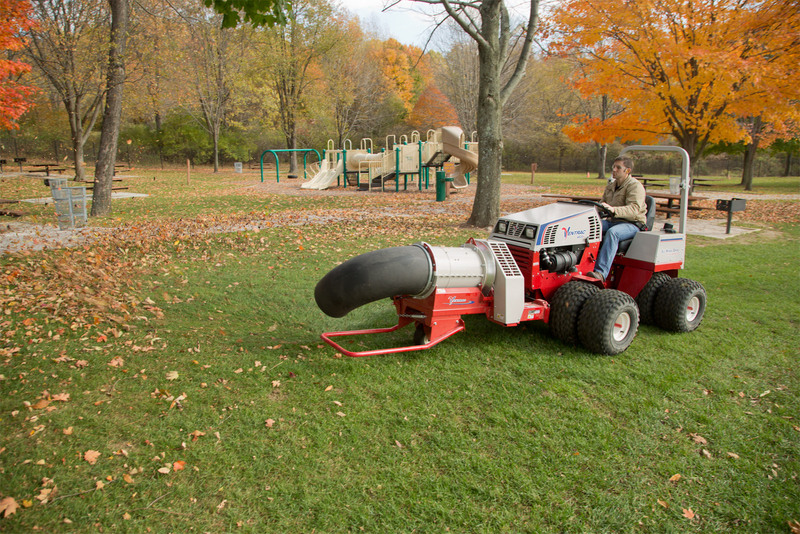 The Ventrac Turbine Style Blower moves massive volumes of air to make clearing large areas an easy task. Ventrac leaf blowers can be hydraulically rotated left or right 180 degrees for excellent control of where the leaves blow. 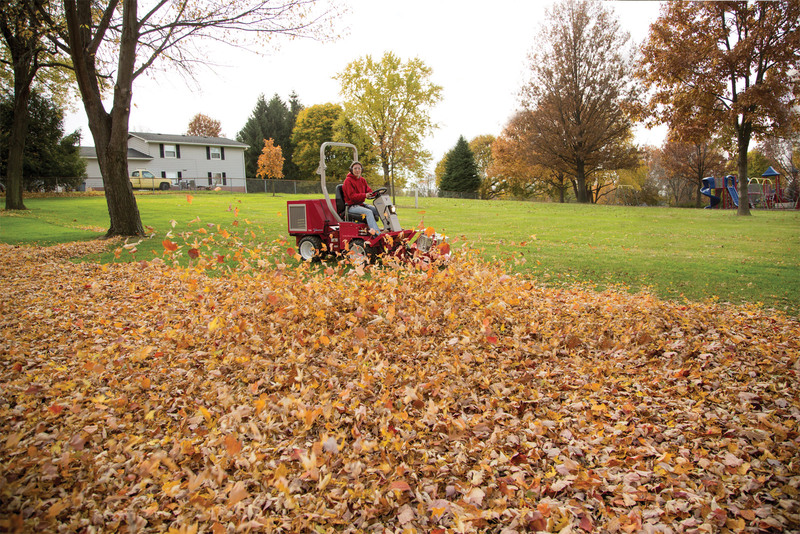 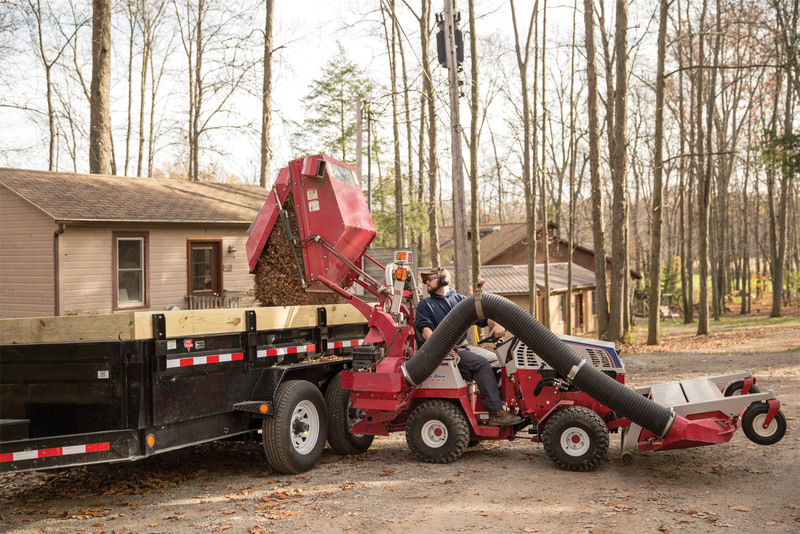 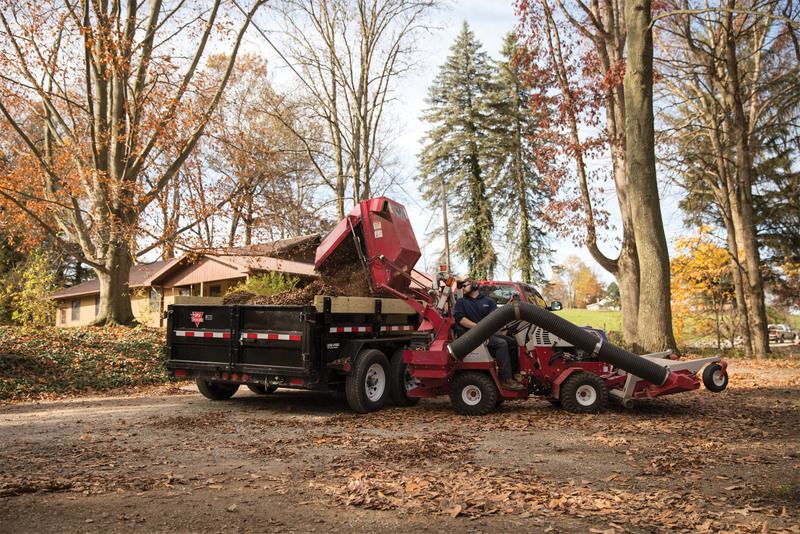 Let your Ventrac do the heavy lifting of fall leaf cleanup, all from the comfort of the operator seat. 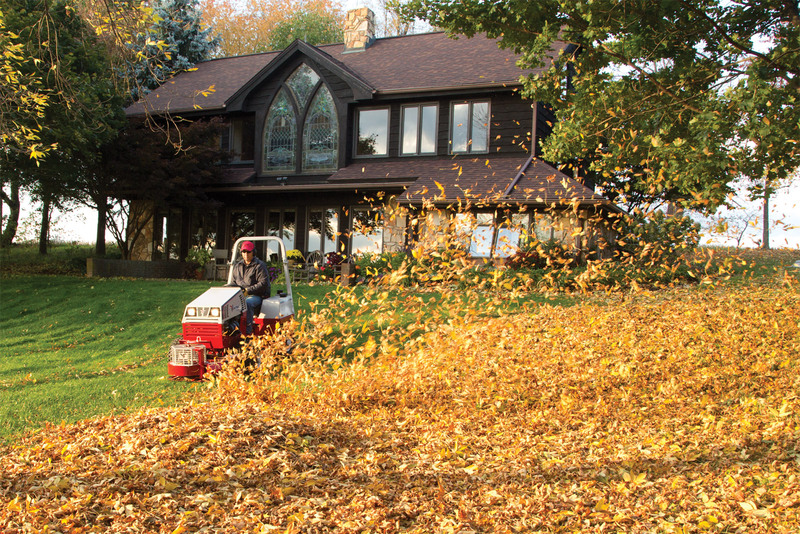 No more worrying if the engine on your leaf blower will start in the fall. 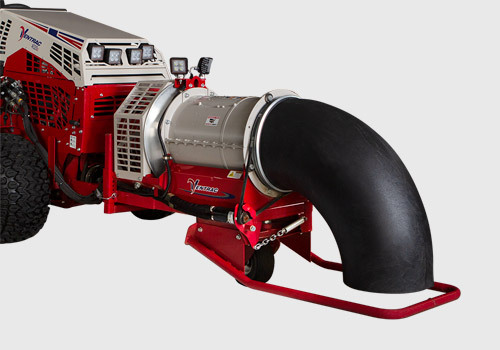 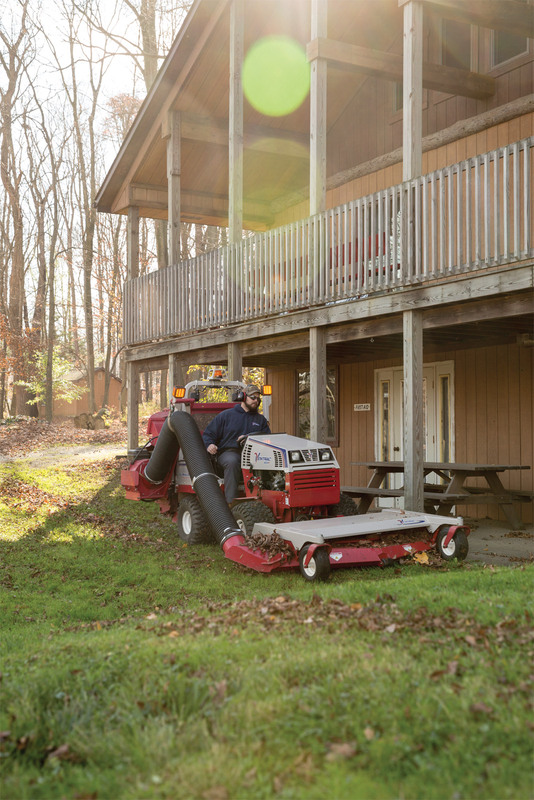 With Ventrac blowers you don't have to maintain an extra engine all year, just connect the blower to the tractor and you're ready to go! 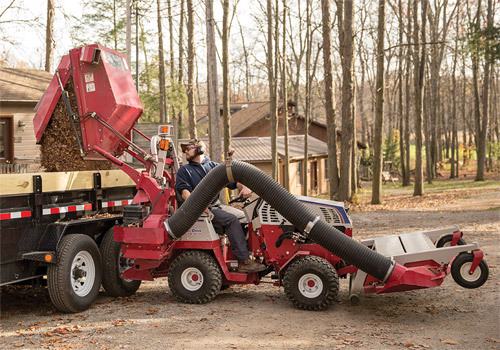 The RV602 has a debris containment bin that hydraulically raises up to five feet to easily place collected materials into a dump trailer, pickup bed or on top of the compost pile. 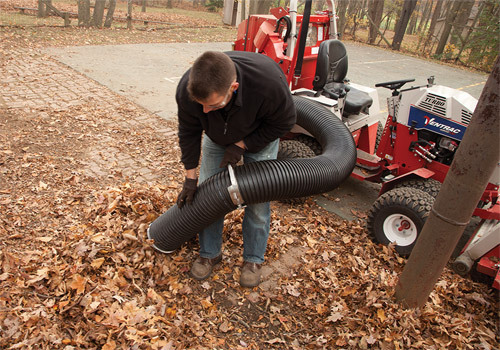 A quick disconnect vacuum hose makes cleaning flower beds, hedges, steps and other un-drivable areas easy. 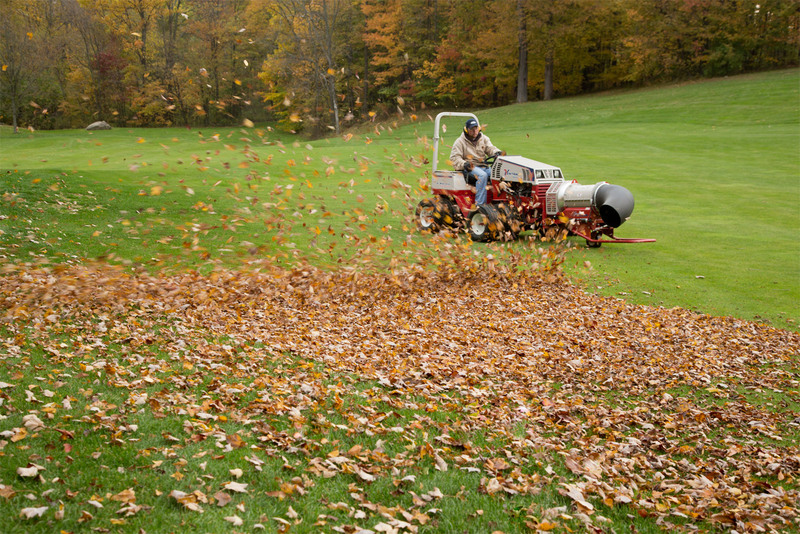 A big benefit of mulching leaves is a reduction in the amount of fertilizer you will need to apply to your lawn the following spring. The College of Wooster is a premiere undergraduate research college located in Wooster, Ohio. 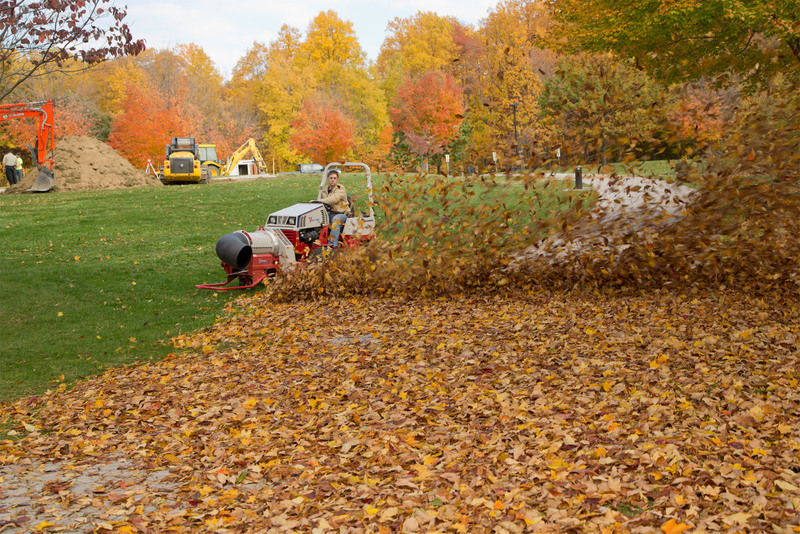 The grounds department maintains over 150 acres; many of which include sidewalks to and from buildings. 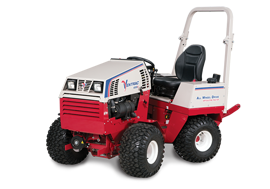 The Ventrac is the only solution to keep up with the daily needs. Camp Luz is a 50 acre camp that relies on Ventrac compact tractors to maintain their grounds. 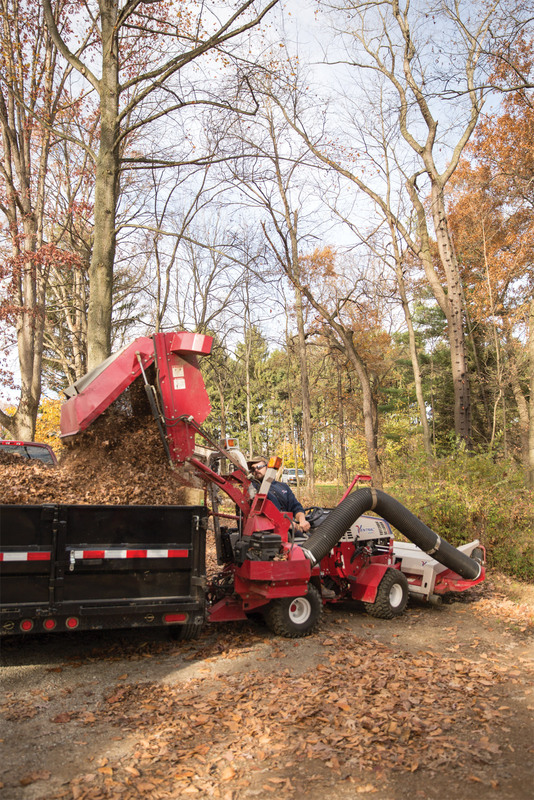 This clip highlights leaf collection during their Fall Cleanup at the camp. 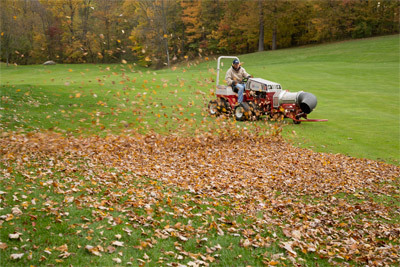 What once was a 3-4 week chore relying on many volunteers was finished in one morning by Ventrac. 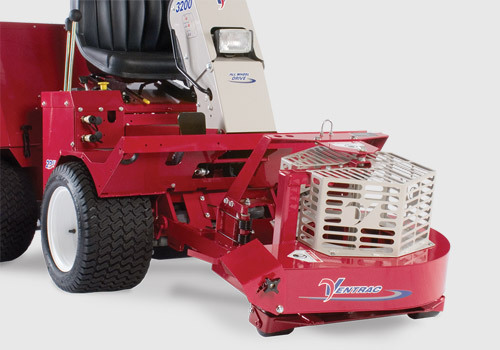 The RV602, coupled with your Ventrac mower deck, quickly collects leaf and grass clippings from your lawn. 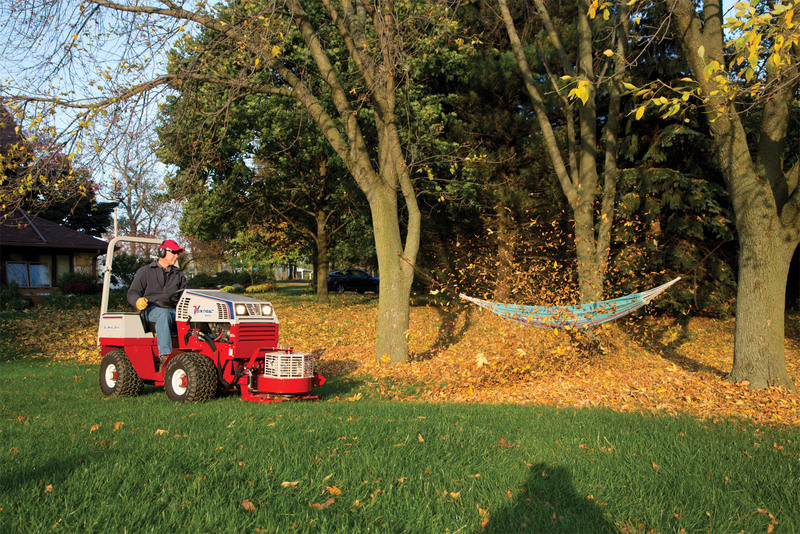 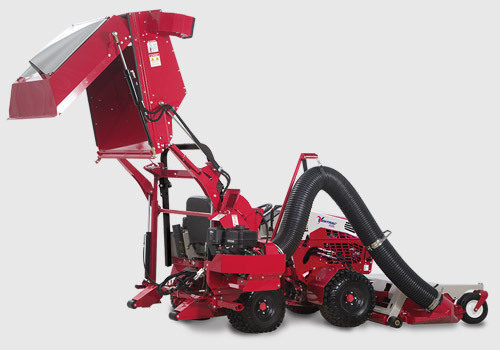 Transform your Ventrac mower deck into the ultimate leaf pulverizing machine with the optional mulch kit. 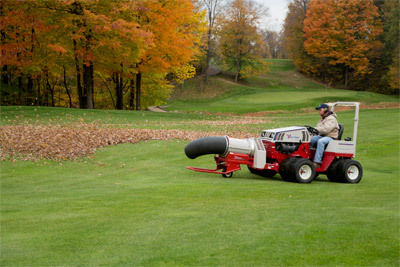 Enlarge Picture / Press Link · Ventrac 4500P with Turbine Blower - Golf course maintenance made easy with the Ventrac 4500, shown with optional dual wheels, and Turbine Blower. 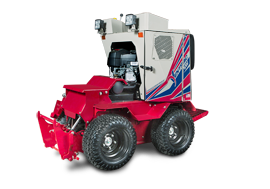 Enlarge Picture / Press Link · Ventrac 4500Z with Power Blower - Directional forced air of up to 180 MPH the power blower can move mountains of leaves with ease. 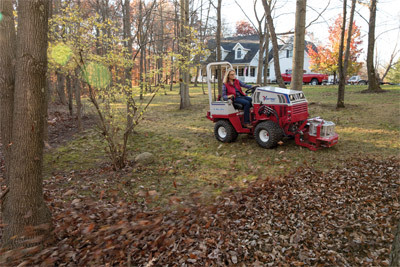 Enlarge Picture / Press Link · Ventrac 4500P using the Power Blower - Easier than manually raking acres of fall leaves and getting the rake hung up on roots, rocks, stumps, and other obstacles the Ventrac Power Blower helps you look forward to autumn. 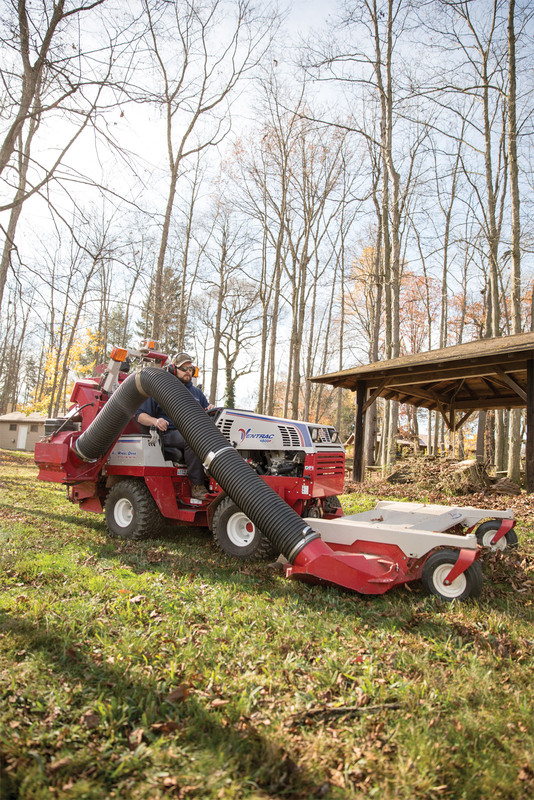 Enlarge Picture / Press Link · Ventrac 4500 Collecting Leaves using RV602 Vacuum - First the mowing deck shreds leaves and then the smaller particles are pulled into the large, rear-mounted bin. 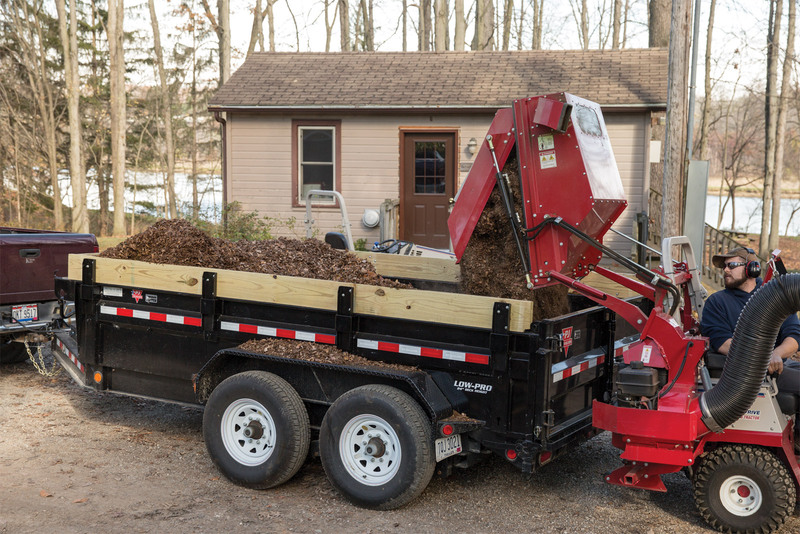 This process allows for maximum use of storage space. 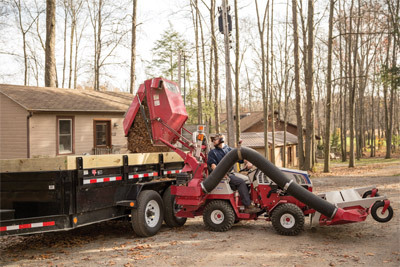 Enlarge Picture / Press Link · Ventrac 4500 Dumping Leaves from the Vacuum System Bin - Using hydraulic lift, the RV602 is capable of lifting a full bin to five feet for easy dumping of materials into a variety of trailers. 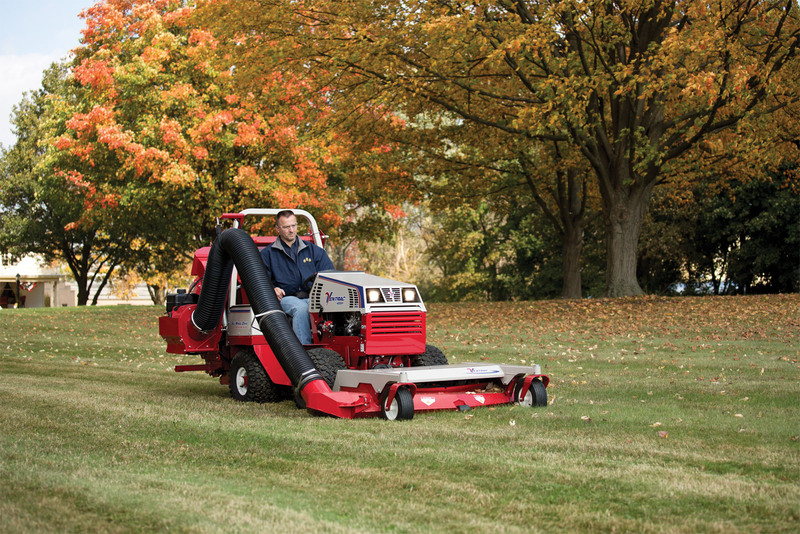 Enlarge Picture / Press Link · Ventrac 4500 Mowing and Vacuuming at Once - With the RV602 Vacuum System you can mow grass and clear the turf of clippings and leaves at the same time. 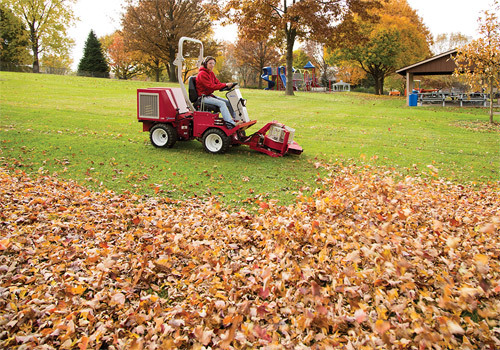 Enlarge Picture / Press Link · Ventrac 4500Z AWD articulating tractor with Power Blower - Moving leaves with ease the power blower beats a handheld or back mounted leaf blower. 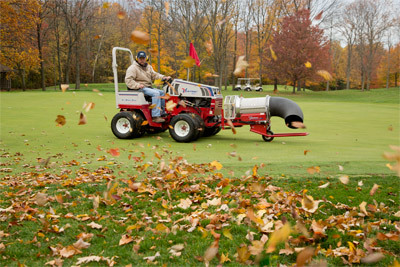 Enlarge Picture / Press Link · Ventrac 4500P and Turbine Blower - Shown with optional dual wheels, the 4500 uses the Turbine Blower to completely remove fallen leaves from a golf course leaving only green grass behind. Enlarge Picture / Press Link · Turbine Blower in Action - The Turbine Blower is much faster and more efficient and can be used much longer without causing fatigue versus handheld blowers. 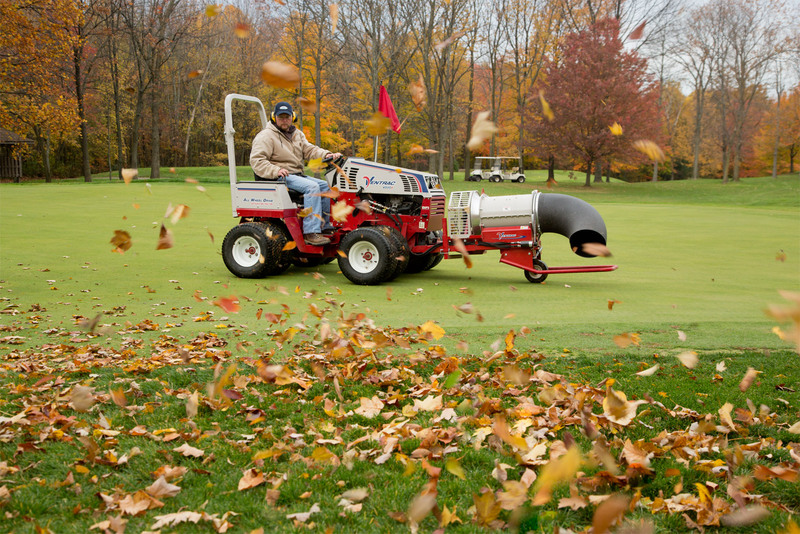 Enlarge Picture / Press Link · Turbine Blower Clearing Leaves - The Ventrac 4500 using the Turbine Blower clears leaves fast and efficient thanks to adjustable direction and wind speeds of 170 mph. 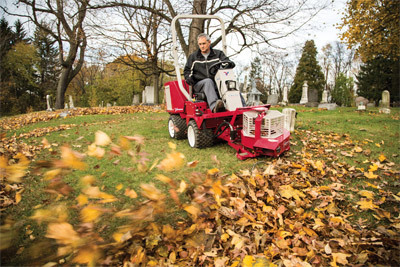 Enlarge Picture / Press Link · Ventrac 4500Y clearing leaves with the Turbine Blower - Up to 175 MPH of forced air with multi-directional aim is a quick and precise way to clear the ground of fallen leaves. 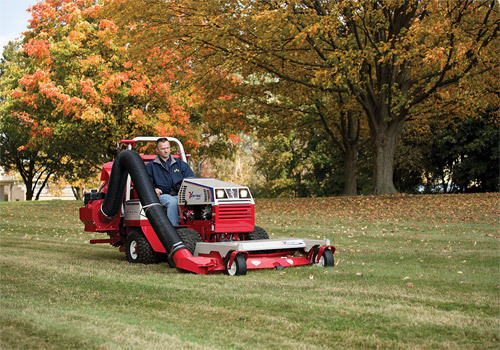 Enlarge Picture / Press Link · Ventrac 4500Z with Power Blower - The power blower moves leaves along at up to 180 MPH making fall yard work more like fun and less like work. 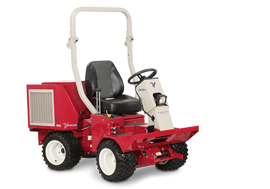 Enlarge Picture / Press Link · Ventrac 3400L with Power Blower - The blower housing can be rotated 180 degrees with the standard hydraulic motor. This allows the operator to move debris in the desired direction without hindering operation. 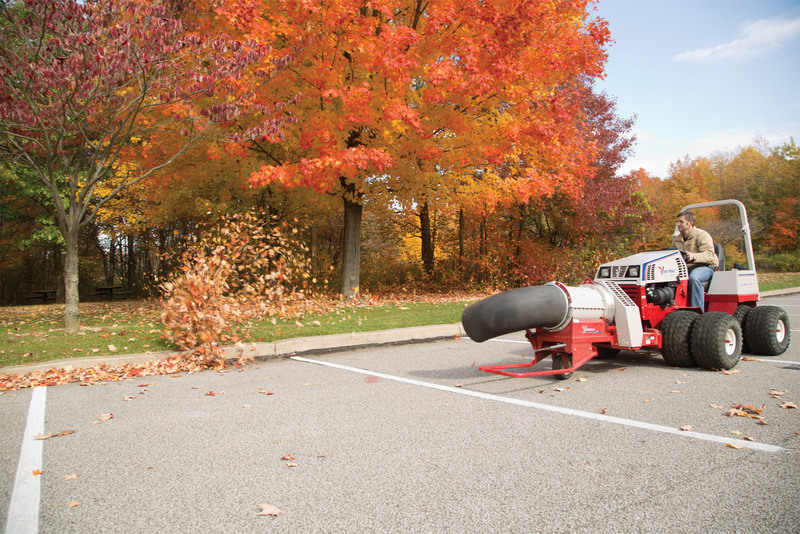 Two gauge wheels maintain a consistent distance from the surface. 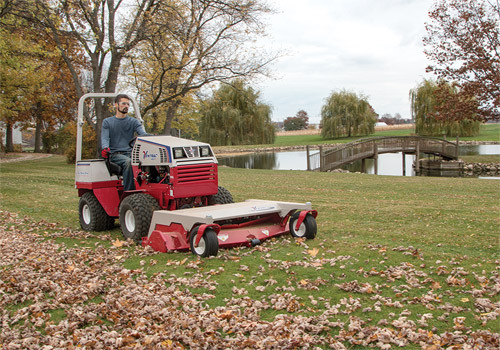 Enlarge Picture / Press Link · Ventrac 4500 Mowing and Leaf Collecting - Ventrac's powerful mowing deck and vacuum working together to make your yard look its best no matter what season. 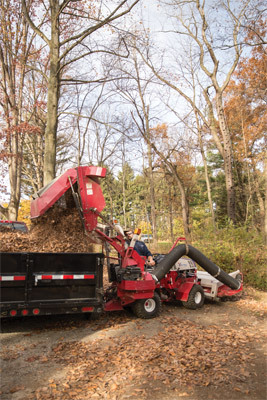 Enlarge Picture / Press Link · Ventrac 4500 Moving Leaves with the RV602 - A 16 cubic foot capacity bin allows you to really pack the leaves getting the job done in less time. Enlarge Picture / Press Link · Ventrac 4500 Handles Fall with the RV602 - The Vacuum System for the Ventrac 4500 makes light and even fun work out of fall leave gathering. 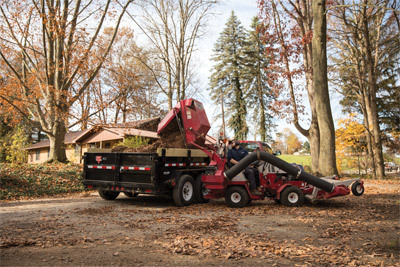 Enlarge Picture / Press Link · Ventrac 4500 Dumping Leaves from the Vacuum System Bin - Easily lift the collection bin five feet in seconds to empty it and back in position to get underway again. 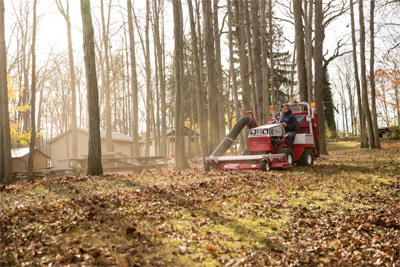 Enlarge Picture / Press Link · Ventrac 4500 Maintaining Property with RV602 - The Vacuum System works with the powerful Ventrac mowing deck to pick up even layers of leaves that may have been trampled and flattened. 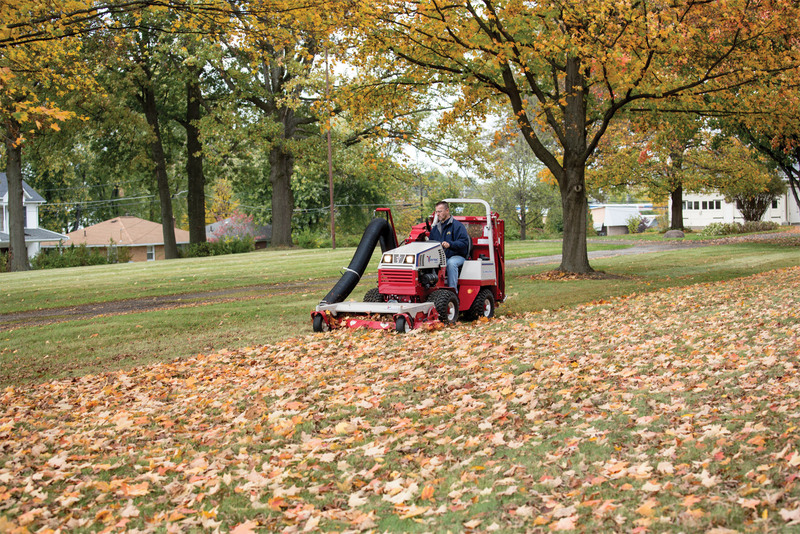 Enlarge Picture / Press Link · Ventrac 4500 Fighting Fall Leaves with the RV602 - The Ventrac 4500 along with Vacuum Collection System can remove even thick blankets of leaves from various types of turf. 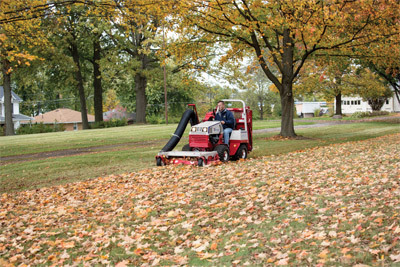 Enlarge Picture / Press Link · Ventrac 4500 Collecting Leaves in Fall - The vacuum system even works on slopes thanks to Ventrac's industry leading slope ratings. Enlarge Picture / Press Link · Filling a Trailer with the Ventrac RV602 - Hydraulic lift and long reach makes it easy to drop 16 cubic feet of materials into any trailer or truck bed.